Remote control software, otherwise remote desktop applications, enables users to remotely access one computer desktop from another system or device. That could be another desktop, laptop, tablet or even mobile which effectively become a remote control for the other PC. It’s based on a client/server (or host) model with the remote control device the client and remote PC the host. This software is especially essential for IT support and administration. Windows 10 has its own Remote Desktop Connection tool. However, the server part of Remote Desktop is only included in the Professional and Enterprise editions. So if you don’t have one of those editions, this is some of the best remote desktop software for Windows 10. What is the best software to control your PC or laptop remotely? Radmin remote PC access offers a high-speed communication between a remote computer and multiple client computers and allows you to use it for telecommuting, demos, and IT support. We have to mention that this software is developed for Windows PC’s. Radmin viewer has a decent box very interesting sharing tools, for example: two-way clipboard. It also supports chat conversations between the host and viewer. Its dual-paned file-transfer tool is standard for remote access software. The video connection runs smoothly and you can easily manipulate programs with the same quality you’d find while sitting at the remote computer. Radmin also provides excellent security by implementing 256-bit encryption. This feature allows keeping safe data exchange at above the standard used online. It also lets you secure the remote PC by enabling the blank screen function and keyboard locking. In addition to IP filtering, it has the option to limit access to parts of your remote computer. This is especially useful when running a demo or allowing someone else to access your computer remotely, such as to perform tech support or to participate in a web conference. 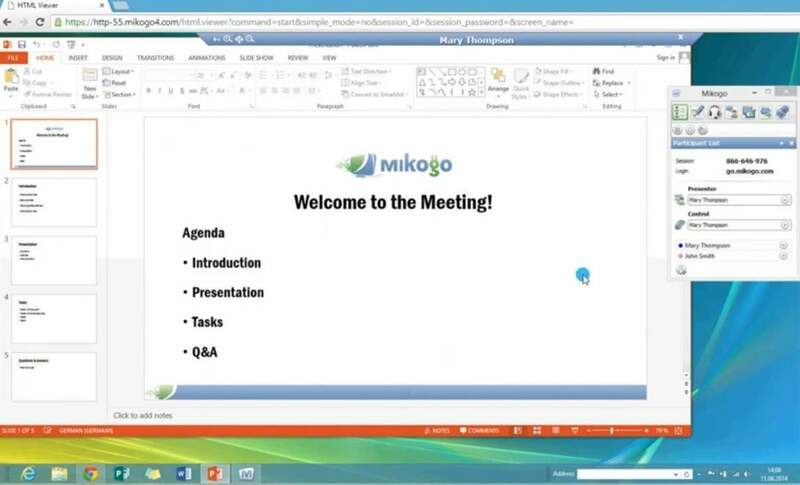 Mikogo is an ideal desktop-sharing tool for presentations, tech support and web conferencing. You can run the software by setting up an account on the Mikogo website, and then click the Download button on this page to save the software’s setup. There’s also a Professional version with a $16 subscription that can include up to 25 participants in a session. Mikogo has extensive desktop-sharing options and a great HTML viewer to help users share a PC or Mac with numerous participants. 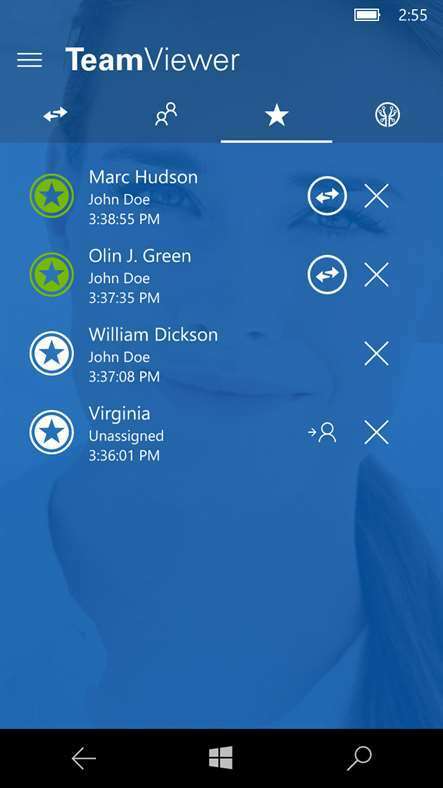 The software includes built-in voice and video conferencing options and a session scheduler with which users can send out multiple invites and schedule meetings in advance. Its multi-user Whiteboard that enables participants to draw on screen comes in handy for presentations. You can record sessions with Mikogo’s screen recorder tool. The software’s also compatible with most platforms, has a switch presenter and includes file transfer and chat options. So this is one of the best programs for setting up remote desktop connections for multiple participants. This is an amazing tool that is especially handy when it comes to small-resolution screens. You can access your computer/computers from your phone whenever you are located. The most important thing is that you have access to absolutely all your computer files and apps even from your phone. This can be quite handy, especially when you need to access some files that are not readable by your phone OS but you need to perform a specific action on them. 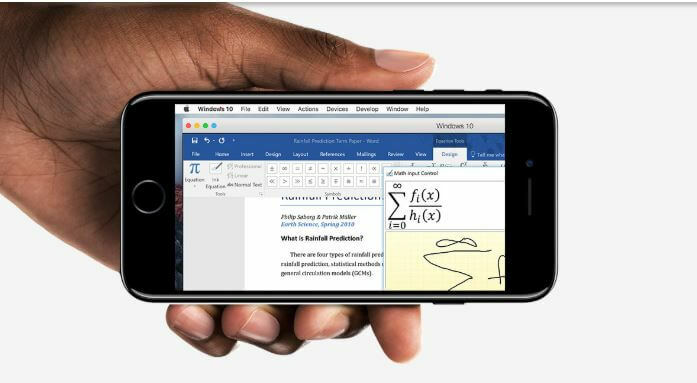 The app allows you to focus on the action you perform as Parallels Access provide you a real focus on the apps you are clicking. You won’t just have your PC screen on your mobile device screen, thus, you won’t have to try to zoom in with your fingers in order to click a small icon. 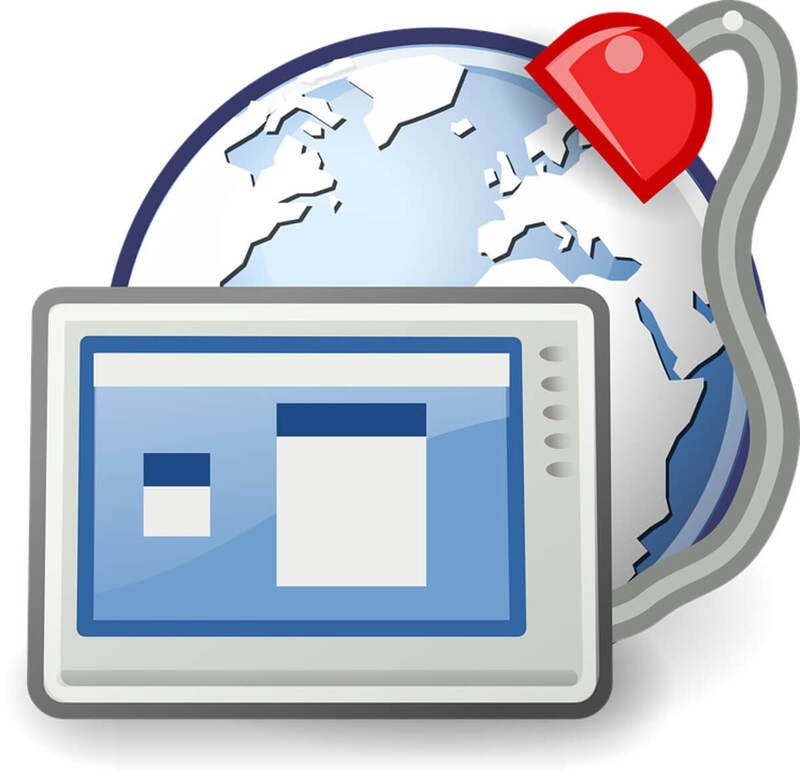 We strongly recommend you to try this remote desktop software. 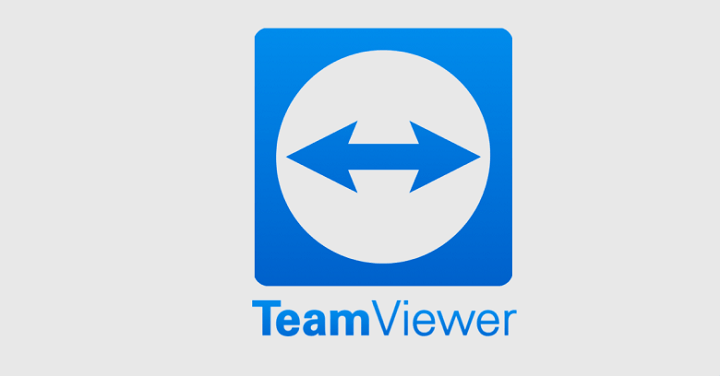 TeamViewer is a highly rated remote desktop application for Windows. It’s multi-platform software compatible with Android, iOS, Linux and Mac OS X so that users can connect to remote computers with tablets or mobiles. It’s freely available software that you can add to Windows by pressing the Download TeamViewer button on this page, or add the app to mobiles from this Windows Store page. TeamViewer has a straightforward setup with minimal system configuration required. 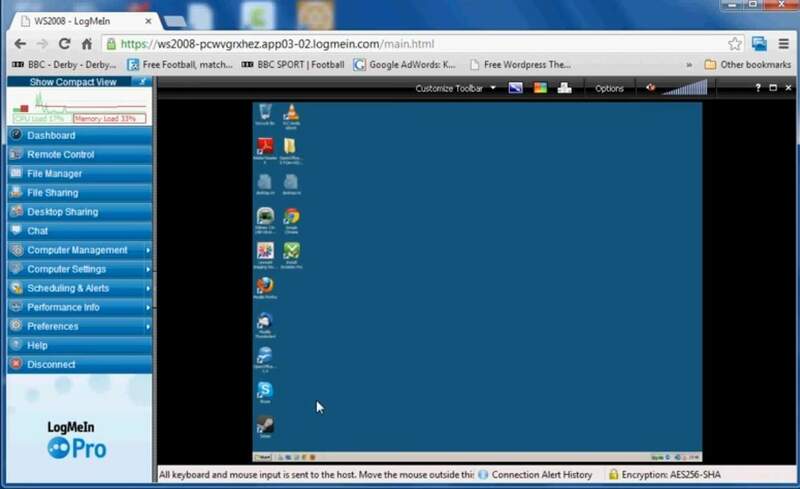 Once up and running, TeamViewer enables you to directly access a remote computer almost as a primary user would. Alternatively, clients can be granted only more limited remote control sessions for things such as file transfers. The software has a convenient drag and drop UI for direct file transfer from host to client. The program enables you to remotely access any number of computers from an administrative portal, whilst most alternative software only provide remote access to a maximum of 10 to 25 endpoints. TeamViewer also has multi-monitor support so you can navigate between multiple VDUs. In addition, it includes remote printing, scheduling, Wake-on-LAN, remote update and session recording options. As such, TeamViewer probably has all the options most will need from a remote desktop application. Splashtop is another multi-platform program for Windows, Mac OS X, iOS and Linux. It enables you to turn your Windows mobile into a desktop remote control. Splashtop has a $60 annual subscription fee, but that’s still good value compared with some alternatives such as LogMeIn. The Splashtop Personal app for Windows devices is freely available at this page, and that also has an Anywhere Access Pack upgrade for Spashtop’s global server infrastructure. Splashtop is high performance remote desktop software that has top-notch audio and video streaming at 30 frames per second. As such, Splashtop is especially strong for multimedia streaming from remote devices and can deliver 3D gaming. With this software you can access pretty much any file or app on a remote PC, but it lacks TeamViewer’s drag and drop support. Splashtop’s installation and setup is also very quick and straightforward. The business version includes extra remote print, annotation and remote wake, chat, user management and file transfer options. LogMeIn is one of the most reliable remote access applications for Windows, Mac OS X, Android and iOS. 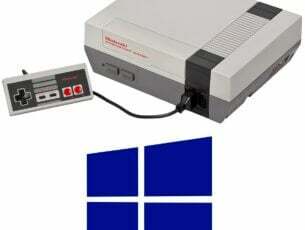 So it’s another cross-platform program that you can use with alternative devices. LogMeIn has three versions with annual subscription fees ranging from $149 to $659. This is one of the fastest remote desktop applications that has very little lag when streaming. LogMeIn enables you to drag and drop files from host to client, or vice-versa, for easy file transfer. 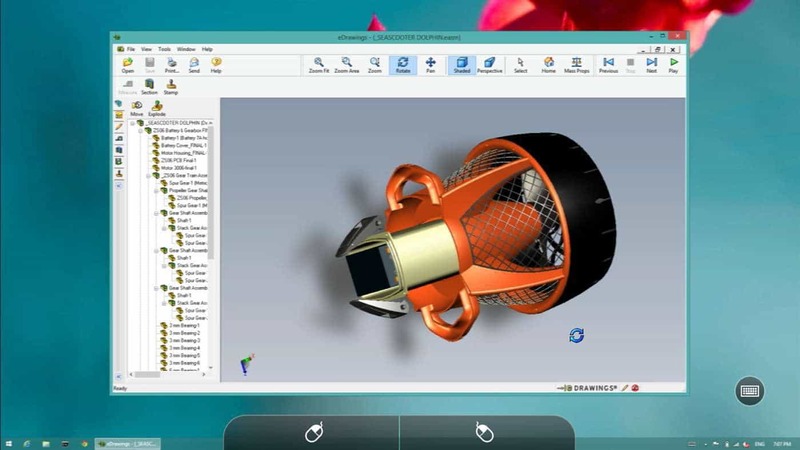 The software has remote printing options so that you can print from the desktops. It supports multi-monitor display so the client can view multiple VDUs and dynamic IPs. LogMeIn also provides one TB of storage for Pro subscriptions with which you can store, share and access documents. LogMeIn’s shared Whiteboard is another novelty that enables users to draw freehand pictures on the host. So LogMeIn certainly has extensive configuration settings and a few options that aren’t included in many alternatives. VNC Connect is remote desktop software based on the Virtual Network Computing protocol. This software works across multiple platforms and provides both direct and cloud remote access connectivity. It has Home, Professional and Enterprise versions. The VNC Connect Professional and Enterprise versions have annual $40 and $55 subscriptions. A VNC Connect app for Windows mobile platforms is also retailing at $2.49. Although it doesn’t have the most straightforward setup and configuration, VNC Connect is certainly versatile remote desktop software with a good set of security options. For example, it includes IP filtering, keyboard locking and inactivity time-out features. The Enterprise version has direct TCP compatibility and enables users to create virtual desktops in Linux. Both the Pro and Enterprise editions include chat, remote printing and file transfer tools. GoToMyPC is remote desktop software that’s quick and easy to set up and optimized for speed with minimal lag. It has Personal, Pro and Corporate versions that have monthly subscriptions. The Personal and Pro subscriptions are $12 and $23 per month. There’s also a portable version of the software for USB drives. All the versions give you unlimited remote access, remote printing and file transfer & sync options. It’s compatible with multiple platforms so you can set up desktop remote controllers for Windows with various devices. The software boasts multi-monitor support, remote printing, dynamic IP support, chat and guest invite options. However, GoToMyPC’s greatest novelty is the remote desktop shortcut you can add to the desktop. The program’s usage reports for sessions also come in handy. Those are six of the best remote control software for Windows 10. With those programs, you can connect to another desktop or laptop with keyboard and mouse controls. As they all support multiple platforms, you can also set up a tablet or mobile remote control for a Windows desktop with them. Editor’s Note: This post was originally published in December 2016 and has been since revamped and updated with new products so our users would have a wider range of alternatives.